Ok, so while it's not feeling quite summery out there just yet, spring looks like it has finally arrived in the UK and I can hear the crowd roar! After what seemed like an endless period of grey skies and rain, the sun is shining brightly outside as I type this and that just makes my Monday a little bit better (Oh, sunshine, how we love you...please stick around for more than just a few days, ok?). And with warmer weather, upcoming summer holidays and the beauty that is springtime comes pretty amazing fashion trends too. Today I want to talk about one of these trends that have taken the fashion crowd by a storm (and I must say if you're not giving into the trend, you're doing it wrong). This trend might seem a little farfetched for some, giving we are talking about Beach Straw Bags, worn without a beach in sight. But as you can see I'm all in and this outfit I put together shows just how wearable they actually are for every day in the city too. Keep on reading! Despite not being incredibly roomy, straw bags have that wow factor which I find particularly needed for summer outfits when we just want to throw on a simple summer dress and be done with it. This bag adds detail, it makes the outfit more interesting and super Insta worthy. Granted, the outfit I have on here is more on the made up side, but that is because I shot it a couple of weeks ago and I was not ready yet to brave the cold and bare it all (hence the heavy-ish knit and pants). But this bag will be the perfect accessory for any spring/summer outfit combinations you make it, no matter what the occasion. And as I said, whilst you can't fit much in it, your essentials ie. phone, purse, lipstick and compact mirror, do just fine. Another plus is that if you shop on the high street, who thankfully have quickly caught on the trend, they tend to be on the cheaper side considering they're made of straw so you won't be breaking the bank if you decide to try this fashion statement. As much as I would love to wear this outfit to the office bag and all, it might not be quite "office appropriate" for my workplace. Which is why I will compensate by wearing it non-stop every upcoming week outings, be it to the park, for shopping and of course on my upcoming summer holidays. Expect to see it loads here too! What about you, are you a fan of the straw bag trend? Let me know below! Thanks for reading beauties; it feels great to be back after a nice holiday break! Great Post.!! we are waiting for your another write up..
What a beautiful bag and just perfect for this time of year! Thanks for Sharing this wonderfull post with us...we are waiting for your another post. Thank You! I'm in love with it! Exactly! I wouldnt buy a designer straw bag for sure! That outfit is so cute. I love the straw bag. 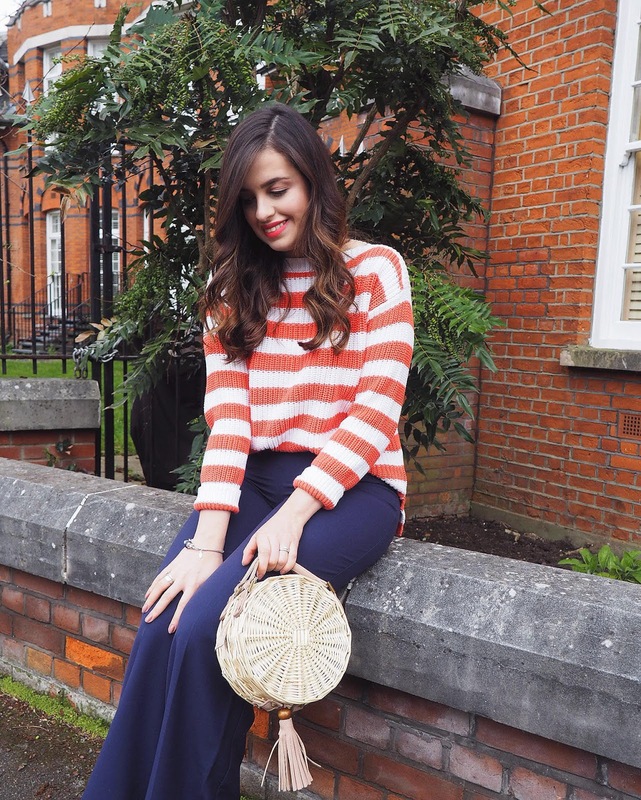 Loving the straw bag trend! Those pants look lovely on you! 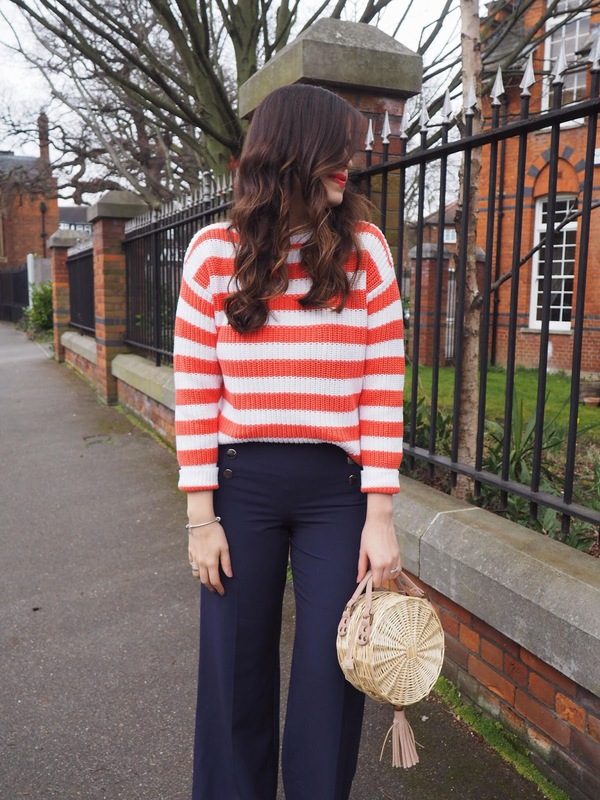 You look amazing in this jumper, and how cute is your bag. This straw bags are everywhere recently! I'm not sure how I feel about them though, I remember seeing them in the 80s but they are definitely not as pretty as the ones now. Haha they are sorta vintage! I personally love the trend! I'm loving the straw bag trend on other bags I've seen. Haven't yet gotten my hands on one, but loving how you've styled it. Thank you Mich, glad you liked it! That bag looks so pretty, I haven't seen this trend before, the bag definitely looks unique & pretty. Está muito giro o look! 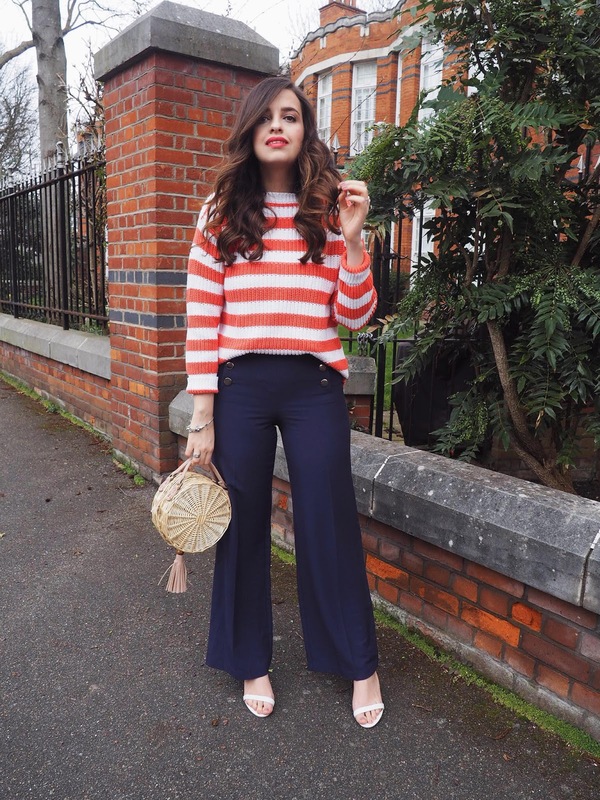 I love the straw purse trend, it's perfect for the spring-summer outfit looks! Love your outfit too! I like your trousers and bag! Nice outfit! Something very trendy and chic. Love the styling too Pam! Accessories always make for the easiest way to update your look for a new season. And the good news for this spring and summer? The bag trends are anything but boring. From the return of see-through PVC bags to basket bags and artful hoop handles, this season's bags are equal parts playful and chic.